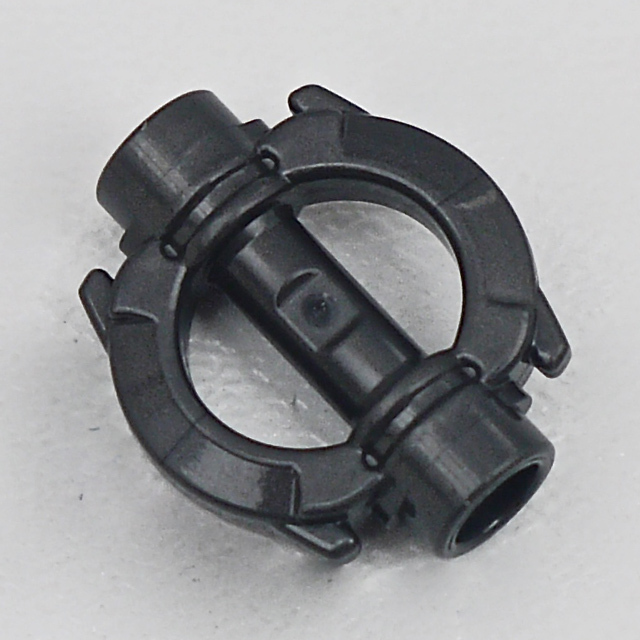 In terms of new parts, these are concentrated in the minifigures and some TIE-specific parts, notably the two new hatches (Design ID 19229 | Element ID 6097348 and 19233 | 6097357) which incorporate handles for the first time. These are a great, streamlined shape and are nicely printed but I’d love to see a plain grey version for building with. There’s also a printed 2x2 round tile (74405 | 6052205) for the centre-point of the wing; a previous TIE ship used a very similar tile, so a new version is welcome only for avid TIE fans. The set only really needs a single minifigure but comes with three. You may have expected a TIE pilot, and an Imperial officer isn’t really a surprise, but nobody expected The Inquisitor! Monty Python jokes aside, he’s the standout figure. The legs and torso printing is crisp and subtle, but his shoulder armour and helmet (moulded with a trans-red visor) are stunning. The armour fits snugly around the Inquisitor’s head, hiding his neck from view, and both elements are printed beautifully. The Inquisitor also carries a cool weapon - a double-bladed lightsaber with a new curved hand guard (18673 | 6091582) in dark grey. In reference shots, this guard only has one curve but the LEGO® element contains a double curve. This makes it slightly harder to position in his hand, but looks excellent either wielded or stowed on his back (though let’s hope he never has to get through narrow doorways, or the redecorating bill will be huge). The other two minifigs are not as notable but both are new. 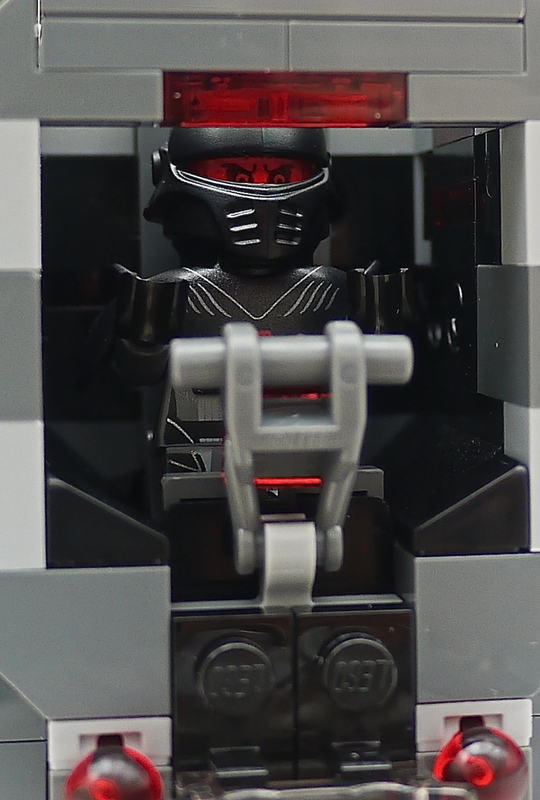 The TIE pilot’s helmet and torso are (like the printed tile above) a subtly different print from the four or five other similar helmets/torsos in production. The officer is more unusual, as he is in Sand Yellow [TLG]/Dark Tan [BL] instead of the more familiar grey uniform. 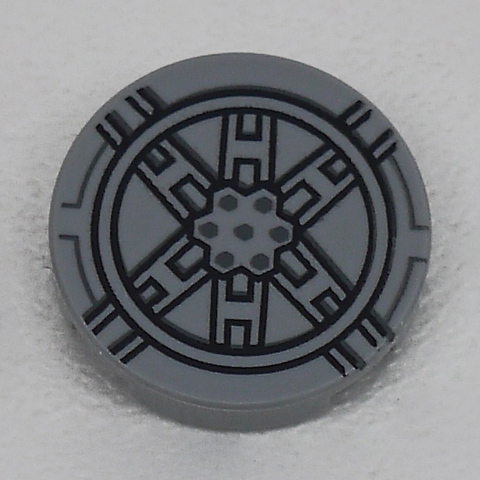 His cap is also fairly rare in design, occurring only one other time (in dark grey) for an officer on 2014’s Imperial Star Destroyer set. The TIE advanced prototype is, in TIE terms, pretty cool, and notable for having curved instead of flat or angled wing panels. It seems to be the prototype for the eventual chunkier angled-wing fighter piloted by Darth Vader in Episode IV’s famous trench run scene. The wings fold against their stanchions for more compact in-hangar storage. In build terms, this set is pretty straightforward. Bag One contains the base of the body and one stanchion; by the end of Bag Two, the entire central section is complete, and Bag Three contains the wings. As with all the recent sets I’ve built, I’m impressed with many of the building techniques which form a sturdy and nicely-shaped ship, something that can be tricky with TIE fighters owing to their somewhat odd geometry. The final starfighter is impressive (with the wings out), and sports a more muscular shape than a typical TIE fighter – much more so than the reference shots, which show a spherical body and slender supports. 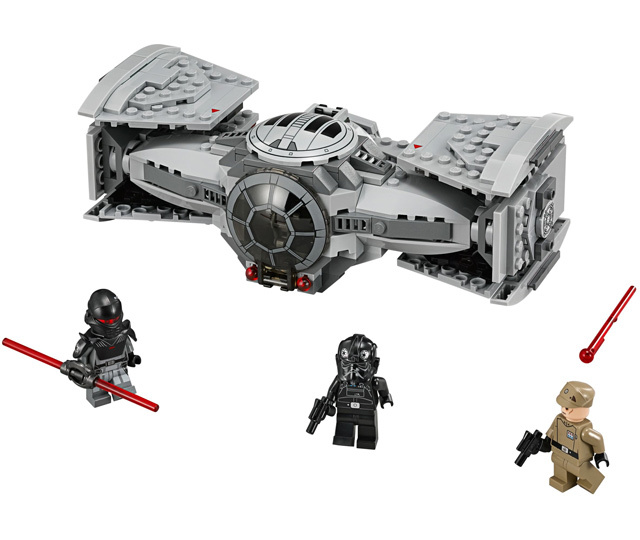 This is a more obvious bridge between a regular TIE fighter and Vader’s ship. The pilot’s seat is nicely done; TIE fighters are notoriously cramped, but there’s plenty of room for some nice detail though a printed tile would have been a nice addition. Those hatch pieces keep the shape nice and svelte where it needs to be. There isn’t a huge degree of SNOT building but some nice design touches - for instance, the dark grey stripe across the front of the stanchions. 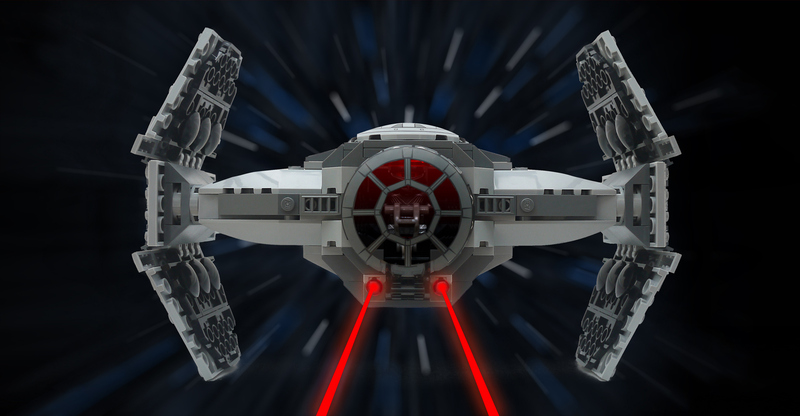 The party trick of this TIE fighter is the ubiquitous flick-fire missiles. These are the new design, which actually fits the aesthetic really nicely in this case, as the small missile heads look about right, if slightly too big. Where the designer really shone on this set is the firing mechanism. The rear contains a panel that twists to either side, launching a missile in each case. It’s a pretty unnecessary complication (the missiles could simply be fired as is usual with a flick of the finger, and for that reason its inclusion is all the more laudable. I think it’s a shame that the standard online image of the set shows the wings in folded position. It’s certainly easier to stand this way; the ship quickly keels over if propped up in wings-open position. But it really doesn’t do justice to this great addition to the TIE fleet. 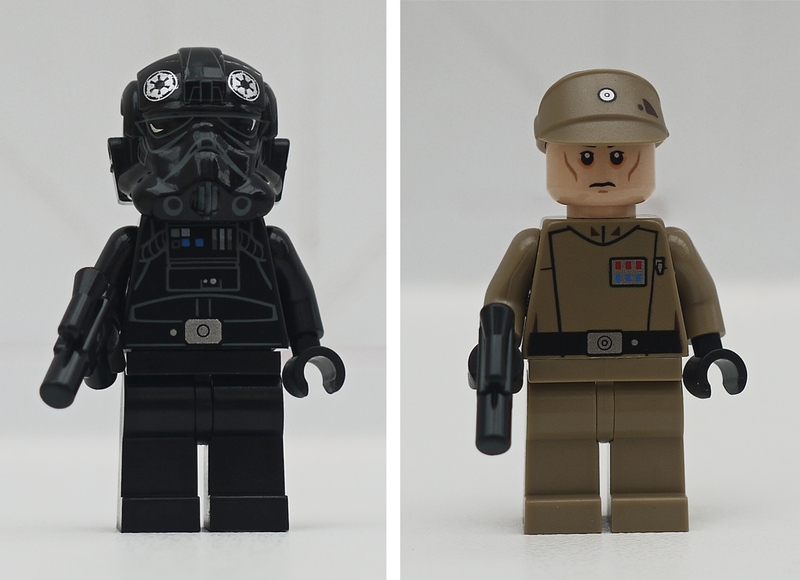 The Inquisitor is an excellent minifigure and the other two will no doubt add to any collector’s range. 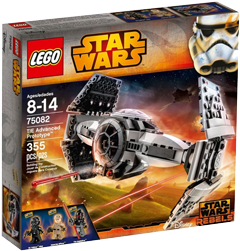 75082 TIE Advanced Prototype retails for £39.99 / $39.99 / €49.99. Consider using our affiliate links to buy it (or anything); this helps support New Elementary! If you had two of the new trans-grey hatches, you might be able to make some unusual Steampunk goggles. The handles are already in the right place. If you just have this set (and I'm assuming there's only one hatch in it), a monocle is always an option. Good review. Great review Jeremy, as always - looks like a nice set - and I agree, those hatches would be lovely in plain grey! I LOVE the new hatch/window piece. It's a much better piece for the front windscreen of TIE Fighters than the bulky and weird cockpit piece of yesteryear, and the fact that it attaches from the side will make it a much better solution for windows AND circular hatches than the 6x6 radar dish. This seems to be somewhat of a trend—the summer City sets feature a new 4x4 domed windscreen, which already appears (albeit printed) as the head piece for the Hulkbuster armor in the Age of Ultron sets. And considering how difficult it can be to attach a part like the 4x4 dome while maintaining usable space inside, that's another change I can get behind. The windscreen piece from this set is also going to be used in Trans. Bright Bluish Violet with an energy swirl pattern in one of the summer Ultra Agents sets. And while we haven't seen any other sets with it yet, I can't wait to see it show up unprinted in both solid and transparent colors. As a final note, I wouldn't really consider the spring-loaded missile elements to be "flick-fire". That term referred to missiles that actually had to be pushed or "flicked" out of their housing to fire (both the older ones that used standard Technic axles, and the more recent variety that had a specially designed Technic element that attached to a normal axle hole). The new spring-loaded launchers require no such "flick", with only a slight downward nudge required to fire them with force. There's little doubt that it's much more effective than flick-fire missiles, although on sets where the missile isn't effectively encased (like this year's Ninjago Boulder Blaster), it can be very easy to fire them by accident if you accidentally nudge them when picking up or moving the set. What, no reference to the Imperial Army's ruthless efficiency? Or fanatical devotion to the emperor?